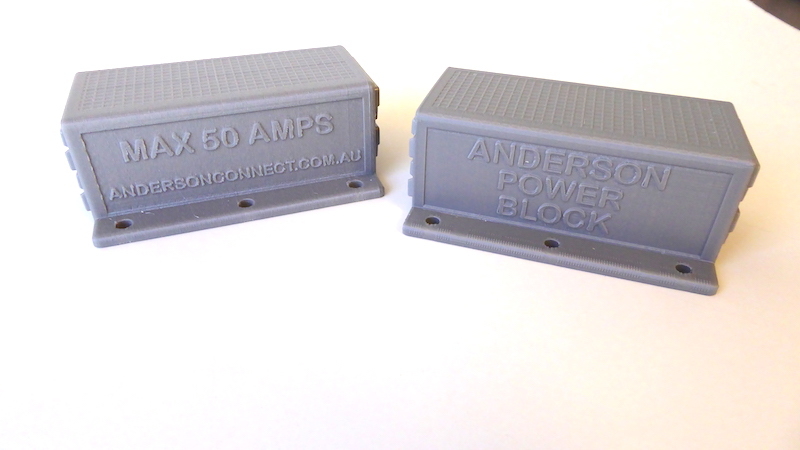 Anderson Power Block - SB50&trade; 4 Way Power Adapter - Surface Mount. 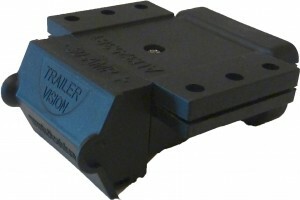 Comprising 4 x Genuine Anderson SB50 connectors in a simple and convenient package. you can power 3 appliances from a single outlet: fridge, lights, radios etc. use it to connect up to 3 solar panels together and then connect to the solar regulator. just handy; throw one in the back of the 4x4 just in case. 3D Printed in-house using a high impact polymer with stainless steel fasteners. 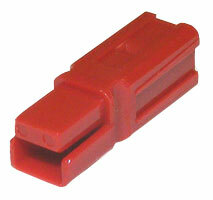 Choose the colour of the block and the colour of the Anderson Plugs. This polymer is very tough and has limited flexibility. If it is over stressed it will crack rather than deform. Tighten the screws firmly but do not over tighten. If you need a special configuration of SB50 housing colours put your requirement in the special instructions when you check out from the store. For example: if you need 1 x Grey, 2 x Red, 1 x Blue. Put this in the special instructions.